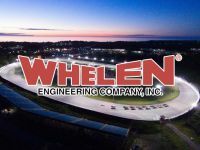 A handful of new and returning weekly contingency partners will return to Oswego Speedway in support of the 2018 ‘Road to the Championship’ events for the Novelis Supermodifieds and Pathfinder Bank Small Block Supers. Once again in 2018, Cam’s New York Pizzeria of Oswego, the track’s official pizzeria provider in the concession stands, will also provide a free large cheese pizza to all heat winners in both the Novelis Supermodified and Pathfinder Bank SBS divisions this season. 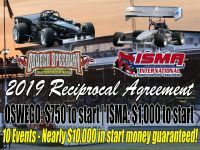 As announced two weeks earlier, RJ Caruso Tax and Accounting is back onboard as partner for the speedway’s 68th season as well, but this year will offer a special incentive that will see a $50 paid bonus distributed to all Supermodified and SBS heat winners. 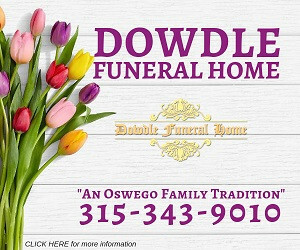 Similar to years past, Lighthouse Lanes and D&S Landscaping of Oswego and Fulton have also signed on for contingencies as part of the weekly 50-lap Novelis Supermodified and 30-lap Pathfinder Bank SBS feature events. Lighthouse Lanes will award a merchandise certificate to the highest finishing driver who has never won a main even before in both the Supermodified and SBS divisions, while D&S Landscaping will award $25 to the ‘hard charger,’ who advances the most positions from his or her starting spot in all of the big block and small block features during the regular season. 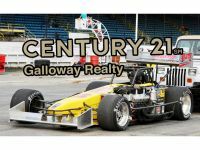 Season tickets, camping passes, and more are all on sale as part of Oswego Speedway's 2018 schedule. These items can be picked up and purchased in the speedway box office.